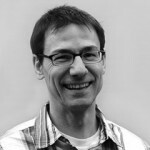 David received a Bachelor of Science in Physical Therapy from UBC in 1998. In 2003, he achieved the internationally recognized designation of Fellow of the Canadian Academy of Manipulative Therapists. In 2004, David completed further training in vestibular (dizziness and balance) disorders. Since 2004, he has taught postgraduate courses in orthopaedic manual therapy for the Canadian Physiotherapy Association. Having been a competitive athlete himself, David has always had an interest in Sports Physiotherapy, and he has guided a range of athletes, from amateur to professional, back to competitive excellence. Cycling, distance running, kayaking, mountain biking, rock climbing and canoeing add to David’s adventures.